Although my diagnosis is new my disease is not. I’ve had chronic back pain since my early 20’s and it’s been slowly progressing ever since. By the time I hit 30 I refused to accept the “it’s just back pain, take these narcotics” diagnosis. I’ve been tossed back and forth between doctors and specialist for numerous years. Most of them understood my pain but never really had an answer for me, that is until July 4, 2011 when I was admitted to the ER with a kidney stone. As weird as this may sound, it was actually a blessing in disguise. They did a CT to check on the kidney stone, however, the ER doctor seemed more interested in my spine. He asked me if I had any back or bone issues, which I replied, “that’s all I am, a back and bone issue.” He stated that the findings on the CT show classic signs of Ankylosing Spondylitis. This was news to me, Ankylo…what?” Once I started researching AS, it was like I was reading an autobiography, the puzzle pieces just started falling into place. I scheduled an appointment with my MD to discuss the ER doctor’s findings and after blood tests and x-rays; she confirmed that I officially had AS. You may be asking yourself the same question that I did, after previous years of x-rays, a bone scan and MRI, why didn’t my MD figure this out? Well, it’s not for her lack of trying, she stood by my side these past three years and assured me that I wasn’t going crazy and that she would do whatever it took to figure out what was going on with me. She admitted she really hadn’t considered Ankylosing Spondylitis as it’s more common in men than woman and I had no family history of AS (which we now know this is false, I’m just the only one who has received the correct diagnosis.) I have been referred to a promising Rheumatologist and am currently undergoing treatment that will hopefully change my quality of life for the better! So here I am, 34 years old and although I’m not happy about this diagnosis, it is nice to finally have all my questions answered. I’m well into the fusing process and have now lost two inches in height due to kyphotic posture. My hips, knees, ankles, elbows and shoulders are affected as well as my left eye, jaw and teeth. My ribs, left lung and kidney are also affected and my body is littered with bone spurs but enough about the debilitating and onto the inspiring. I have a wonderful husband and two beautiful daughters who remind me everyday how lucky I am. They are in turn my reason to never give up, never give in and never lose hope, my reason to stand tall and stay strong in my fight to live life to the fullest even with restriction. 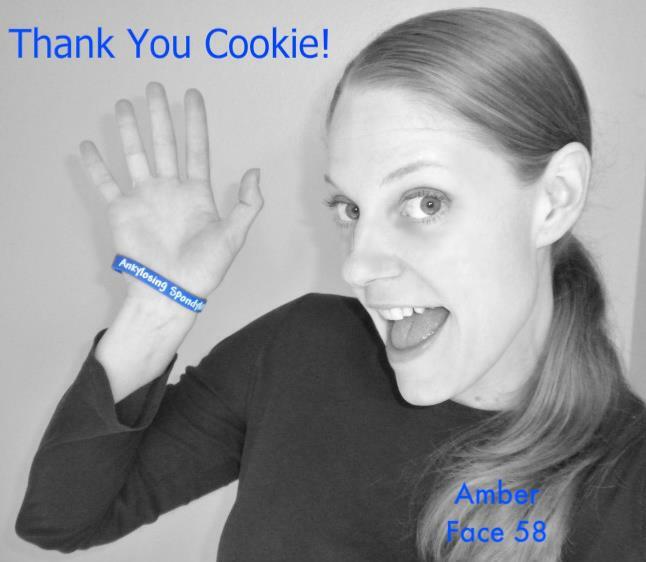 I want to thank my husband, family, friends and everyone in the AS community for all your comfort and support and a special thank you to Cookie for creating this website, such a wonderful idea! 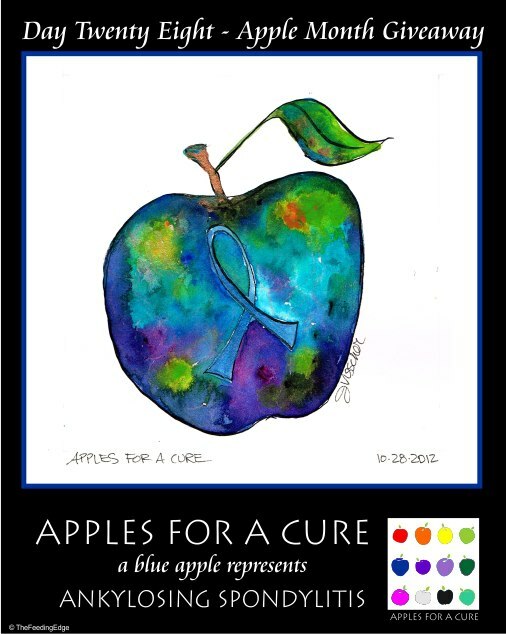 We fuse together to raise Awareness and Hope that someday there will be a cure! Thank you so much for sharing your story with us. This is one of the reaons I feel so strongly about doing a site about our “real” lives. So that we may learn from each other and maybe people will not have to endure so much before their diagnoses. You are so welcome, but I wouldn’t be able to do this site without the courageous people sharing their lives with us. After reading so many people’s stories, I realize how many of our stories sound just alike. The symptoms and the pain are similar in nearly every story. My hope is that through us sharing our stories we can raise awareness for others so that it isn’t so hard to be diagnosed and treated. Thank you for sharing your story! Amber, my daughter also has AS. She too suffered years before getting the diagnosis. 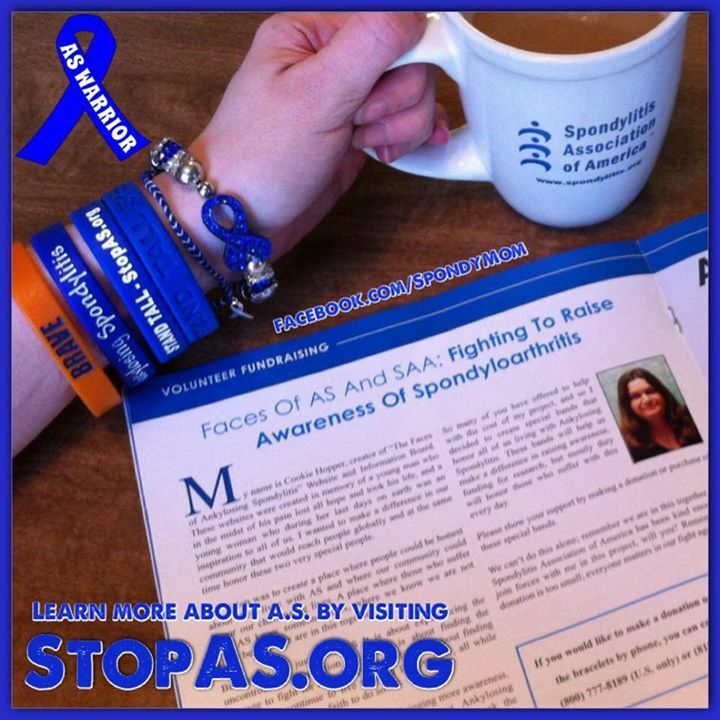 Your stories on this website, Faces of AS, have helped me understand better the disease but only your small army of fellow sufferers can truly know what you deal with every day. My heart goes out to all of you. I will embrace my daughter (gently) and be more aware of her pain but more importantly, her strength. Amber, I hear your heart and somehow I have read that kidney stones also go with this disease. 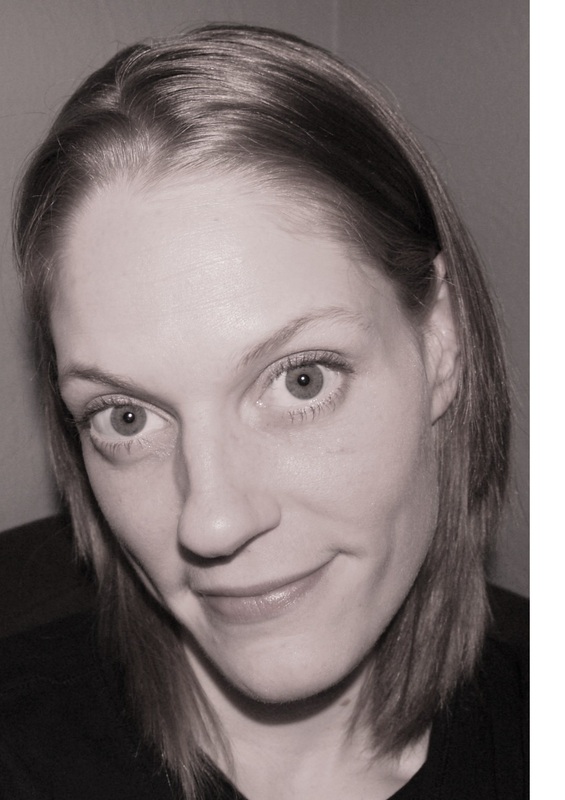 I have medullary sponge which meant last year I got ri of 22 stones and thought that maybe I was empty…. Not so much !!! Thank you or your inspiring words. That we all may stand tall through all of this ….. I pray for a cure !!! Thank you for sharing your story !! Hope to stay in touch, and have more time to spend with the group this summer ! You and me both, honey, you and me both! And so many others. A monkey could diagnose it, and I don’t think doctors are bad. But they really need to catch up with AS!